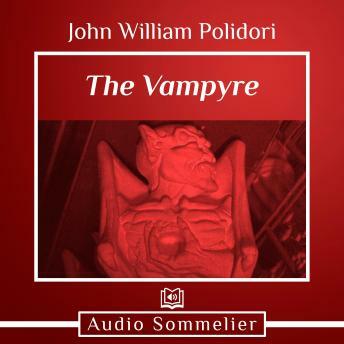 The Vampyre is a short story by John William Polidori. It is based on a fragment written by Lord Byron in 1816 during a gathering of author friends who, trapped inside due to bad weather, decided to write ghost stories. At the request of a friend, Polidori wrote a complete story from the premise outlined in Byron's fragment. Without either author's prior knowledge, the story was published in the April 1819 issue of New Monthly Magazine as "The Vampyre: A Tale by Lord Byron"; despite immediate protests from both Byron and Polidori, the attribution stuck, for a well-known author such as Byron attracted a much better audience. The Vampyre was the first vampire story in English prose, and as such had a wide-ranging influence, almost singlehandedly creating the now-popular image of the vampire as an aristocratic seducer.